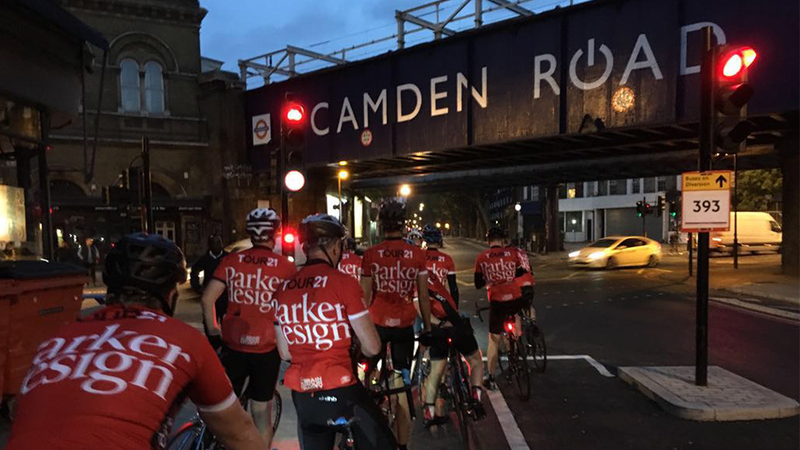 Cycling 210 miles from our London office to our headquarters in Cheshire, the Tour21 team successfully kicked off Parker Design’s 21st anniversary in style, raising £14,000 for charity in the process. 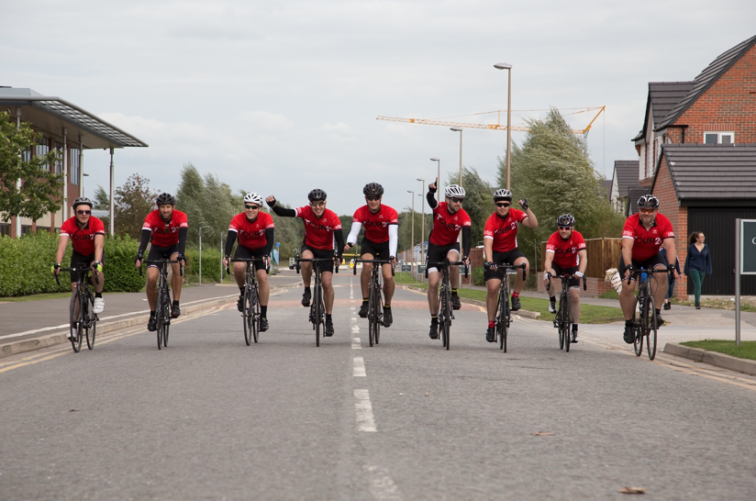 14 of our guys took to the open road, braving angry commuters and unpredictable September weather, to support producer James Harwood, who underwent his second surgery in January to remove a brain tumour. Inspired by James’ ordeal, we dedicated our 21st anniversary celebration to helping raise money for life-saving brain tumour research. 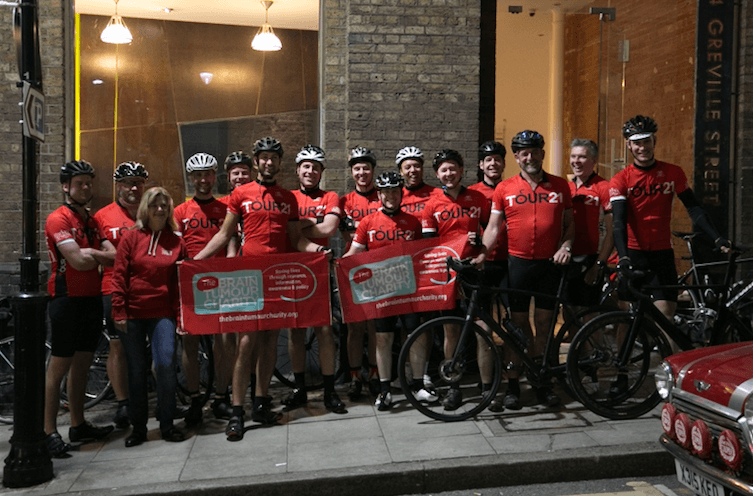 Day 1 – The team took the opportunity to load up on their carbs and then hit the streets of London in the wee hours of Thursday morning to avoid rush hour traffic. They posed for a quick photo at the Farringdon office with Kerry Roe-Ely, our fundraising coordinator at The Brain Tumour Charity. 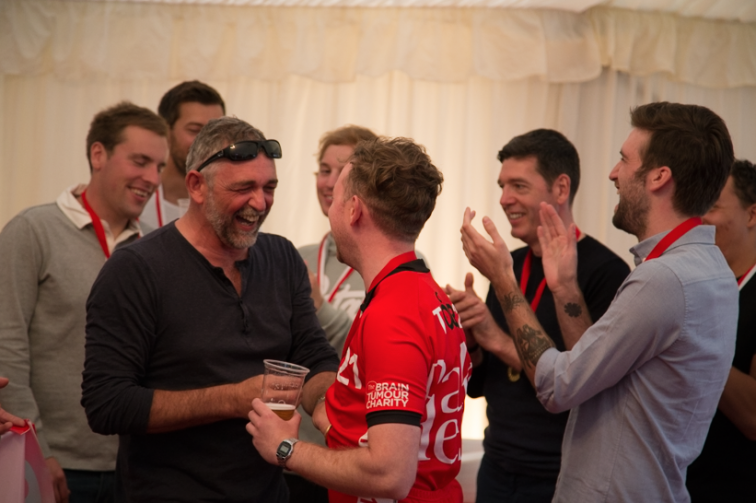 Day 2 – After a brilliant first day of riding, the team set out from Northampton, cheered on by friends, family and clients online. Despite a few sore muscles, our Tour21 boys cut a striking image as they rode through Staffordshire. 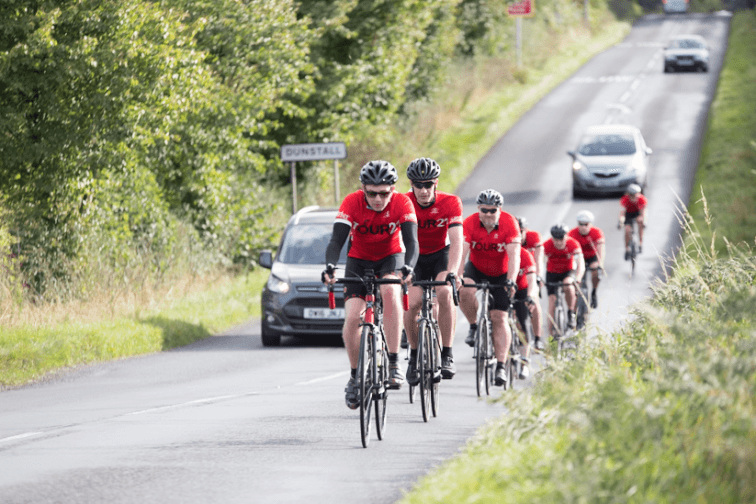 Day 3 – Changing terrain and long uphill climbs challenged the Tour21 team to their limits on the second day, but news that donations were pouring in gave the guys the inspiration they needed to push on. Supporters followed their progress anxiously via our Twitter feed, tracking them from their starting point in Burton-on-Trent to our headquarters in Cheshire, where our 21st anniversary celebration was waiting to kick off. Things seemed tense for a moment, as riders separated into two groups early in the day – those pacing themselves for the long haul and those pushing themselves to higher speeds – but regardless, no man would be left behind. Triumphantly crossing the finish line, the first group arrived like conquering heroes…. And shortly thereafter, the second group was welcomed with cheers, applause and a well deserved victory party. Congratulations team – we’re so proud of you. And thank you to everyone who attended our anniversary event and helped us raise funds for this worthy cause. If you’d like to help us fight brain tumours, it’s never too late! Please donate on our JustGiving page.